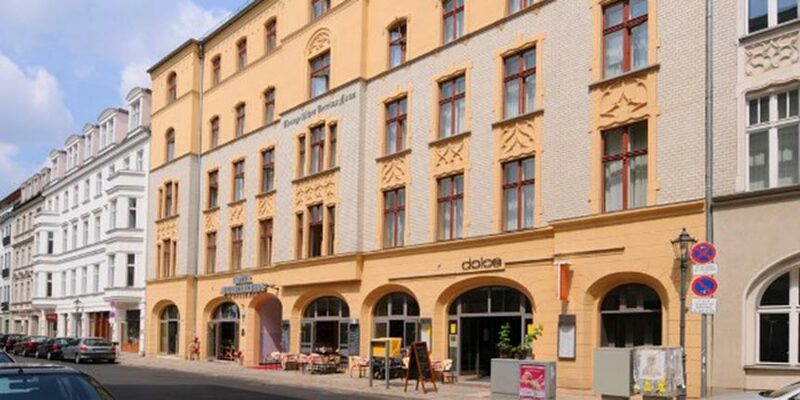 This classic accommoadation is a 3*** hotel and is characterised by its listed building and its perfect central location near the popular and lively Oranienburger Str. in Berlin Mitte. 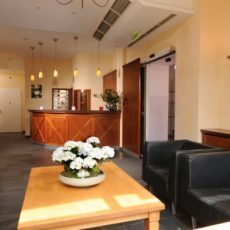 The hotel is wheelchair accessible and was therefore awarded in 2004. 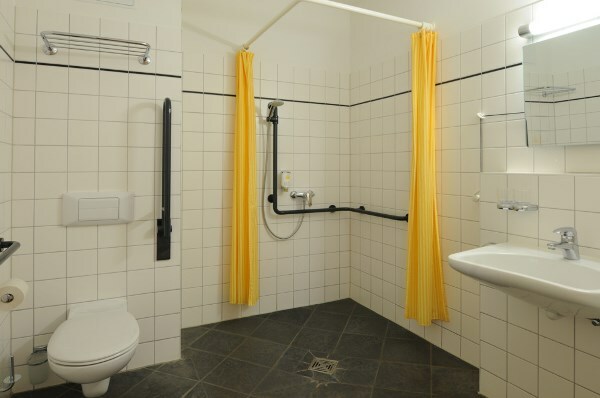 The eight wheelchair accessible rooms (DIN 18024/18025) are designed in a warm and comfortable style. 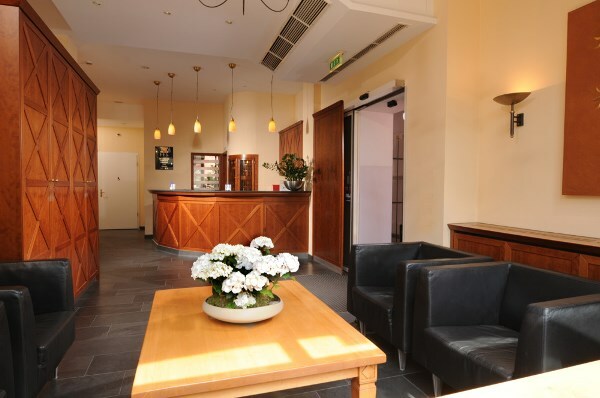 The rooms are arranged with original paintings of the artist K.H. Kautzinski which make them very special and unique. 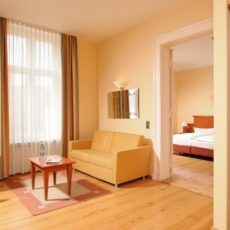 All rooms are equipped with minibar, satellite TV, radio, telephone and PC or fax connection. 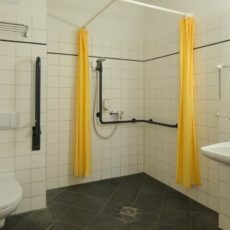 The hotel is located in the central district of Berlin Mitte near to the popular Oranienburger Str. and Friedrichstrasse. The distance to the next accessible S-Bahn station “Oranienburger Str.” (S1, S2, S25) is about 150m. The distances to the next accessible subway station “U Oranienburger Tor” (U6) and to the next tram station “U Oranienburger Tor” (M1, M6 and 12) are 220m and 200m.